The life of pioneering computer conservationist Tony Sale is to be commemorated with an award for the best computer restoration project. Mr Sale is best known for the mammoth project that resulted in the re-creation of the Colossus computer. At Bletchley Park, the original Colossus cracked messages sent by Hitler's generals during World War II. The award will recognise the project that has made a singular engineering achievement in restoration. Overseen by the Computer Conservation Society (CCS) and backed by Google, the award will seek out those projects carried out in the same spirit that Tony Sale brought to his work, said David Hartley, recent past chairman of the CCS. Dr Hartley said the idea for the award emerged soon after Mr Sale's unexpected death in August 2011. "This has all been stimulated by Tony Sale," he said. "We hope it will be a fitting tribute to him." Prior to embarking on the Colossus rebuild, Mr Sale worked at the Science Museum and, with Doron Swade, drove the recreation of other pioneering computers and helped found the CCS. 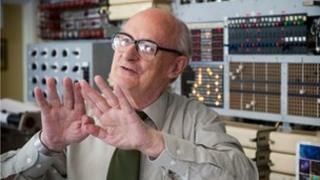 He was also involved in the campaign to save Bletchley Park and was one of the founders of the National Museum of Computing. To be considered for the award, a restoration project would have to demonstrate how it advanced understanding of how older machines were built and worked, said Kevin Murrell, secretary of the CCS. "Computer history gets lost very quickly and it can be a very forensic job to piece all the information together," he said. The design process and inner workings of relatively modern machines and game consoles were often not well known, he said. "Tony Sale would expect to see good research and the understanding of the machine as well as a working replica built in either software or hardware," he said. Potential candidates for the award are the restoration of the PDP 1 at the Computer History Museum or the recreation of Konrad Zuse's Z1. The closing date for nominations is 31 July.